Your skin is exposed to environmental elements every day. Over the years, the sun’s rays, pollution, and other damaging agents can take a toll on your skin. A microdermabrasion treatment can help reduce or eliminate the wrinkles and fine lines, “crow’s feet,” age spots, undesired pigmentation that may appear on the skin over time and is exceptional for acne scarring and cratering of the skin. Microdermabrasion is a superbly effective treatment that mechanically exfoliates the skin without micro crystals removing dead cells, improving texture and smoothing away irregularities. The treatment also acts to stimulate the production of fresh new skin cells and collagen. Microdermabrasion encourages the production of a new underlying layer of skin cells with higher levels of collagen and elastin, which further improves your skin’s appearance. Microdermabrasion is much gentler than dermabrasion. 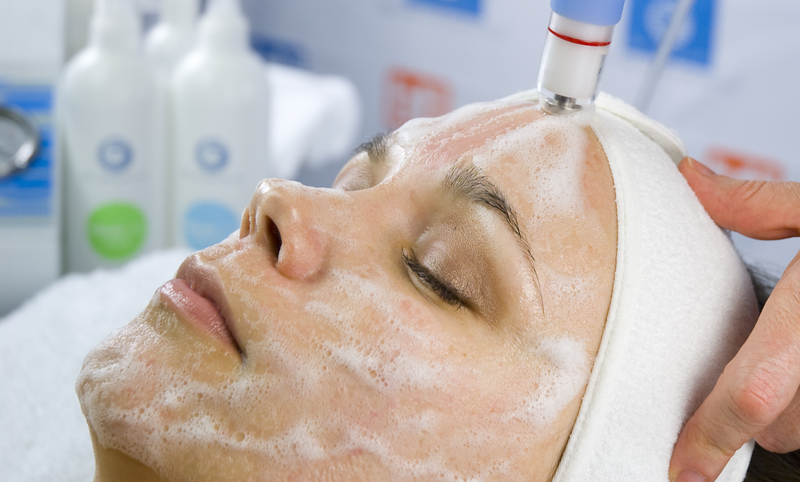 Dermabrasion is a more intensive procedure used to treat deeper facial lines, extreme sun damage, and scars. Different skin care treatments can help your skin after its been exposed to environmental elements all day. Over the years, the sun’s rays, pollution, and other damaging agents can take a toll on your skin. A microdermabrasion treatment can help reduce the wrinkles and fine lines, “crow’s feet,” age spots, undesired pigmentation that may appear on the skin over time and improves the look of acne scarring on the skin. The DiamondTome Skin Resurfacing System removes the very top dull layers of the skin by gently exfoliating with natural diamond chips that are at the tip of the wand, while at the same time vacuuming the exfoliated skin cells away in a controlled manner. This is a superbly effective treatment that mechanically exfoliates away the outer layer of dead skin cells improving texture and smoothing away irregularities. Skin care is important. DiamondTome Skin Resurfacing offers benefits to anyone who wants to improve specific skin conditions and rejuvenate the overall health and appearance of their skin. Naturally stimulate the collagen and elastin in your skin! The SkinPen is an automated micro needling therapy system that vertically pierces the skin to naturally stimulate collagen and elastin with minimal epidermal damage, while enhancing skin rejuvenation results. Your skin will continue to create new collagen for up to 2 years post treatment. By doing so, we are literally recreating collagen to bring about a smooth top surface to your skin filling in wrinkles with new collagen as well as scarring, stretchmarks, pigmentation, pore size, etc. The SkinPen’s automatic vibrating function increases the effectiveness of treatment by increasing absorption of products, while reducing pain and discomfort. There are varying depths to the device that can be achieved depending on extent of skin damage. SkinPen although non-ablative, with a series of treatments, it can offer similar results as some of the more invasive treatments such as Fractional Laser Therapy, IPL and Medical Grade Chemical Peels. Microneedling can also be used in conjunction with these treatments. 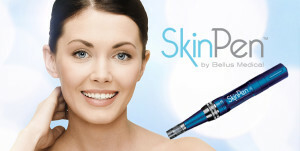 And one of the most amazing benefits is that SkinPen’s pricing is a fraction of the leading alternatives. Micro Needling can be used on all parts of the body. Uses and Effects can be dramatic when completed in a 3-Series or up to 6-Series package scheduled at 4 week intervals. The Hydro Wand® can be used on all skin types! MicroExfoliation is a skin-revitalizing treatment that helps repair skin that is damaged from the sun, scars, acne and the unwanted effects of aging. A trained professional uses gentle abrasion and vacuum to remove the dead, outer layer of skin. Removing the outer layer of dead skin leaves a smoother texture and promotes the growth of healthy new skin cells. There are different methods of exfoliation systems ranging from particle microdermabrasion to chemical peels. The HydroWand achieves skin rejuvenation without the adverse effects of loose particles, burning, or irritation utilizing patented crystal free technology. It is fantastic for melasma, brown spots, wrinkles, fine lines, oily & acne prone skin and more. This system can be customized to the client’s individual skin type. For instance, on a client with sensitive skin you may choose the Smooth Hydro Wand® with a lipid serum. With hyperpigmentation you may choose the Medium Hydro Wand® with a lightening serum. For mature skin choose the Fine Hydro Wand® with a multi vitamin serum. You will soon experience endless possibilities of how this can be incorporated into your services. This will make the add-on Hydro Wand® system very versatile, effective and profitable.